Got a problem swarm of bees somewhere you don’t want them? 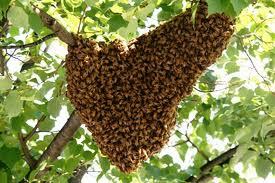 Maybe you have a large swarm of bees in a tree in your garden, where the kids might be playing? Don’t worry, we are often called out to remove swarms of bees, and take them somewhere they are wanted! We remove swarms hanging in shrubs and trees in your garden. We also remove more established colonies (looked in your compost bin lately?) and remove bees live from inside wall cavities if accessible. 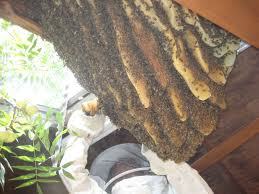 Prices vary depending on your location and the degree of difficulty of the removal of the swarm and your location. We service the Melbourne metro area and some surrounding country areas. For a more accurate quote or to gain more information on what your options might be, simply call Alf on 0448 916 566.